only those things you didn’t do. If someone said to you that for the price of a second-hand car and a bit of hard work they would give you a pilot’s licence and change your life forever, you’d grab it with both hands right? A cross-section of pilots is a cross-section through society. From bricklayers to brigadiers and vicars to vintners. What is common to all though is that they will each have completed the minimum 45 hours (32 hrs NPPL, 25 hrs NPPL(M)) flying training and passed the 7 multi-choice ground exams in subjects from meteorology through air law to navigation. Oh and a couple of practical tests – flying skills, of course, navigation and a radio telephony. The great news is that you can do all that and more here at Welshpool. 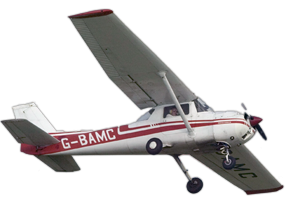 Whether you want to learn to fly aeroplanes, helicopters of fixed wing microlights, follow the links above for the full picture. Trust me, there won’t be a ruler long enough to measure your grin when you fly your first solo and again when you get your wings. That’s the time when the skies will really open themselves up to you.